At about 150 places in Sweden, Christians gathered on the national day to pray together. 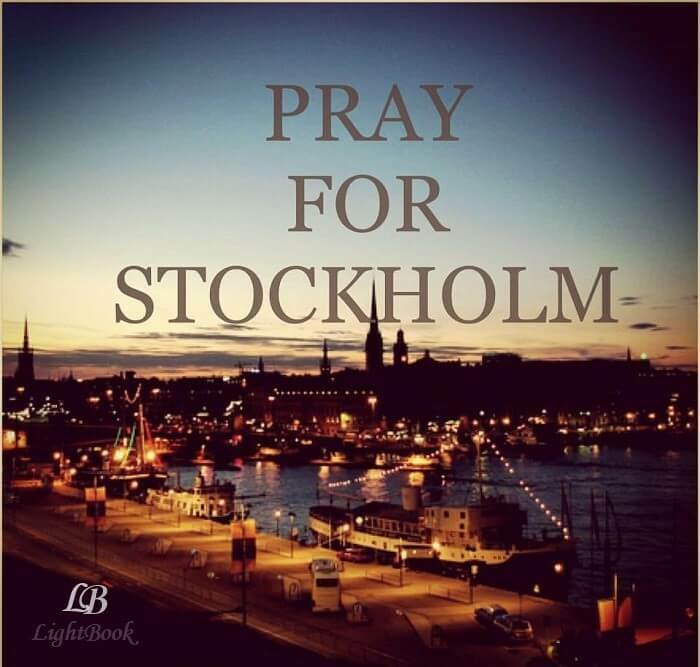 In the Södermalm church in Stockholm, you especially prayed for the capital. “Let it be a love game in Sweden’s people today,” calls Patrik Sandberg, one of the leaders of national prayer. Just before, the whole room has been formally exploded in praise. It is quite obvious that the nearly 100 people who fill the dome to the last place are triggered for prayer. “Sweden is a country of internal bleeding,” says Patrik Sandberg, reading from the Bible how a woman with bleeding was healed by touching Jesus’ clothes. Many of the congregations have their own Bibles with them, and look up the biblical places mentioned. But during these more than two hours, while the sun drips a vacant Stockholm in a mild and awaited light, it is just prayer that is at the center. A handful of people are included as a prayer leader in the Södermalm church, and they are based on the seven prayer subjects projected on a screen behind them: politicians and country leaders, education, media, business, culture, families, churches and Christian leaders. But above all, it becomes a heartfelt prayer – single, joint or two and two, whispering, shouting or in your own heart. During prayer for families, those who have an alliance call are invited to take it and raise it to God in prayer for their own and others’ relationships. – Then prayer leader David Johansson told Elim Church about the mental ill health that grows among young people, who expressed the impression that four students in a school in Vasastaden had taken their lives in recent months. For the youth, we pray, and then also for the Christian pastors and priests who, as we know, are chosen as spiritual targets for Satanists in Stockholm. Johannes Luiga from Elim Church leads them together in prayer for business, for more entrepreneurs and for a Christian business ethic. “We need new entrepreneurs who dare to stand up for their faith and for Christian values,” he says. A few hours later, the prayers and the song rise to the ceiling of St. Clara church in central Stockholm. Here, the national prayer is led by, among others, Birgitta Svensson, the veteran of the Swedish Prayer Network, and priest Carl-Erik Sahlberg. Even the musician and the predecessor Simon Ådahl are included, and he lets the song I think praying for Sweden, from 2007, echoed in the high vaults. “Do you see that man sleeping under the bridge, homeless and alone with dirty shoes? And the woman who collects jars and junk? It’s Sweden today, “sings Simon Ådahl in the Stockholm church, perhaps the best known for his social work. With national anthem, trumpets and great Swedish appearing in the choir, the prayer time is otherwise a more patriotic setting than in the Södermalm church. Here are several prayer leaders who talk about how Christianity will win over other religions in Sweden, and about the need to make Sweden a Christian country. Even in the great S: ta Clara church, filled with 250 people for the day, there is room for intense and heartfelt prayer. In and between the benches, people lower their heads and grasp each other’s hands, in prayer for the media, for strong congregations, for those people in Sweden who are isolated and criticized by their closest ones for choosing the Christian faith. Afterward there is a mingle on the church back, while a train is heading towards continued celebration and prayer in Kungsträdgården and Skansen. Come in your presence to all the victims. Bring Your Power to All Efforts. Come with your peace where there is nothing. God, the birds choose the escape. But many of us did not choose it. The flight chose us. Now we are here in your world God. help us carry the heavy escape so many are forced to bear! Bojan chooses his foot. Many of us chose to walk. The night was merciful. Now we are here in your world God. All of these are too many, maybe the free safe says. But God, can we become too many who know what freedom is? No one chooses the need. Many of us did not choose it. It chose us along the way. Now we are here in your world God. And all of us who were not chosen, we know what freedom weighs. Help us carry the freedom we carry!